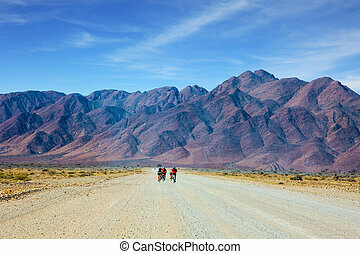 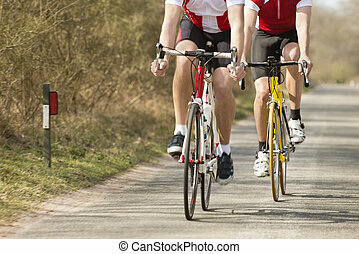 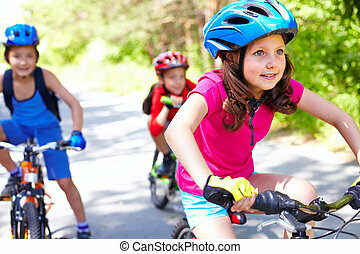 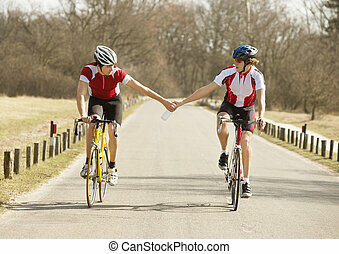 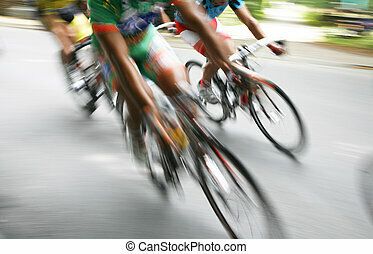 Bicycle race. 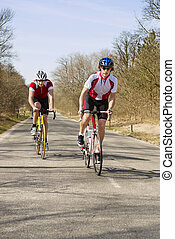 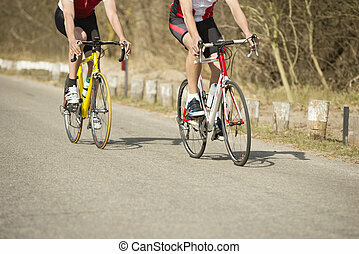 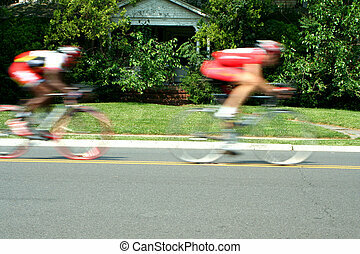 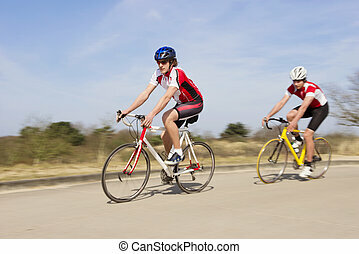 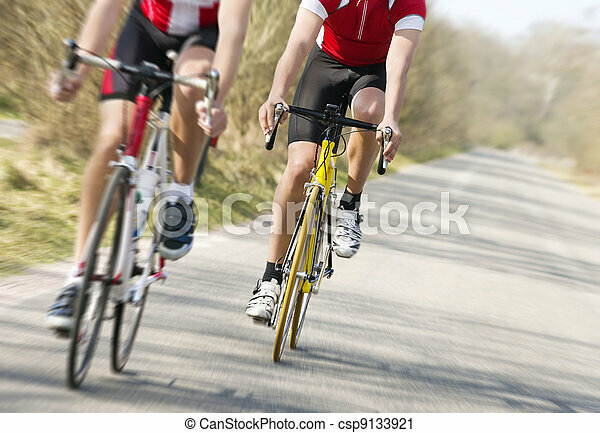 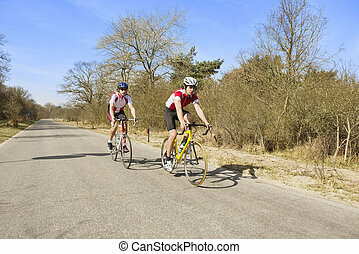 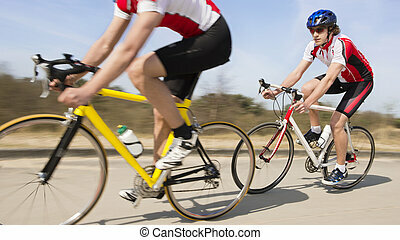 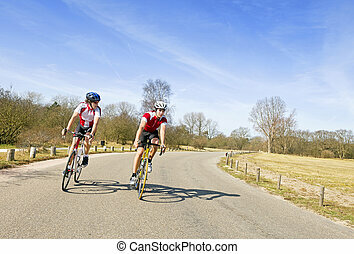 Two cyclists on road racing bicycles in pursuit, focus on the cyclist in the center, motion blurred image. 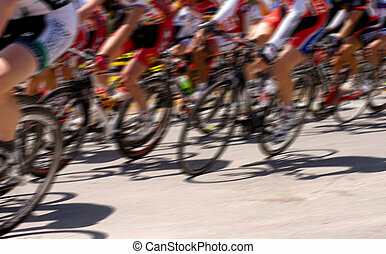 Break away in a Danish the bicycle race. 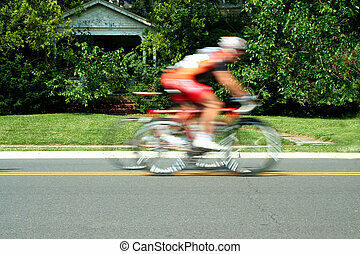 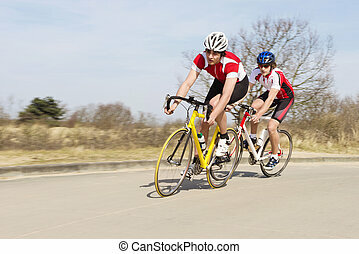 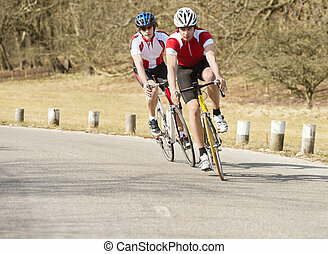 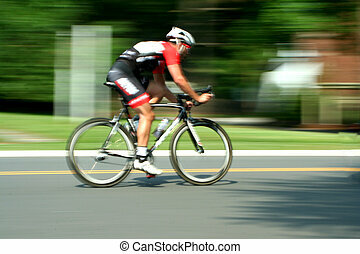 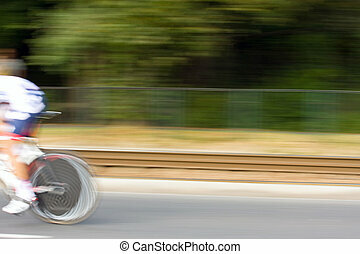 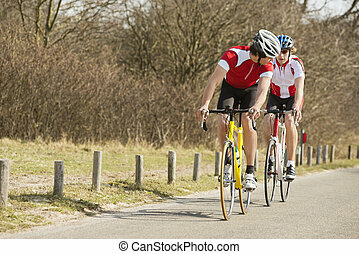 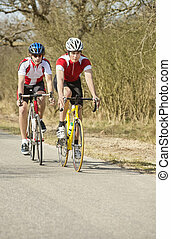 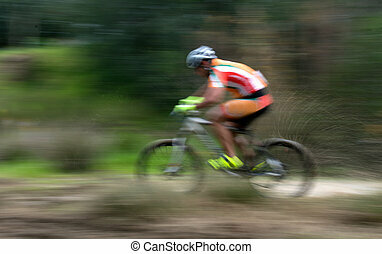 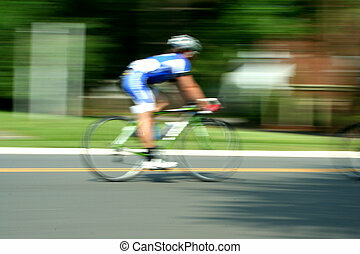 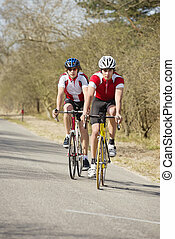 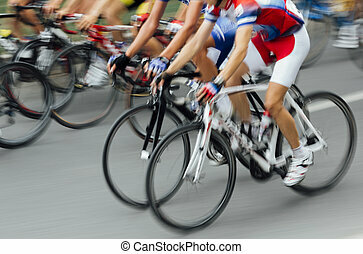 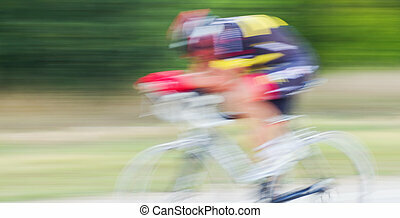 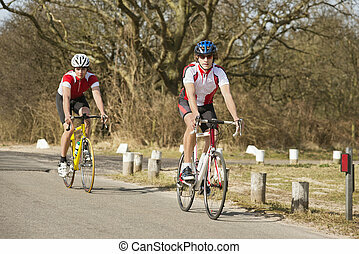 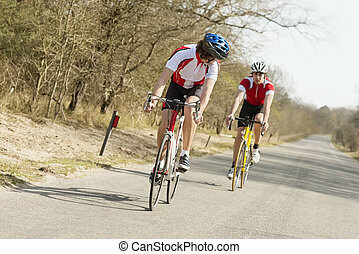 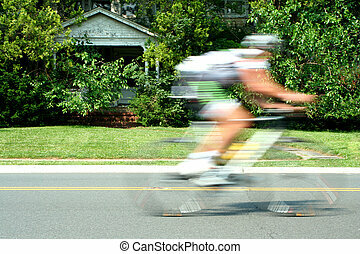 An unrecognised biker cycling on a bicycle racing competition. 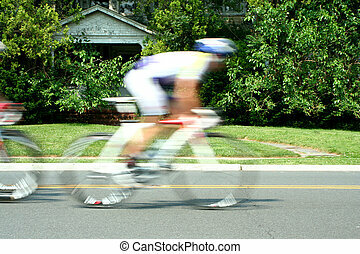 Close-up image of a participant in a cycling sprint race held at a velodrome.